"Solphet Music" (Saved Trademark) is a new label from "Diventa Music". 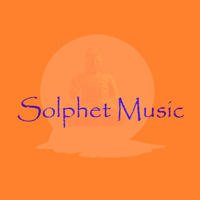 Solphet Music was founded early 2014 and concentrates its musical range on Lounge, Chillout and House sounds. The Label will release only compilations, also the series from Diventa Music in future, what involve known artists and finest music. Solphet Music is distributed through DigDis, what deliver all coming releases in all stores worldwide. This will bring our music in your living room. Enjoy it!